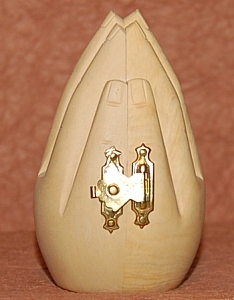 Jp. 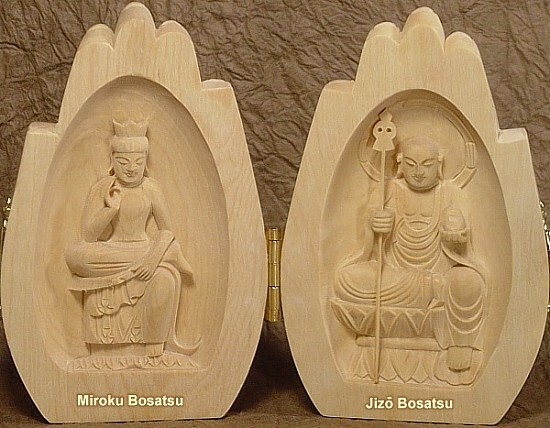 = Jizō Bosatsu, Ch. 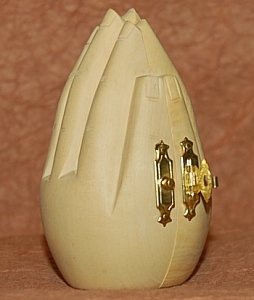 = Dìzàng Púsà. 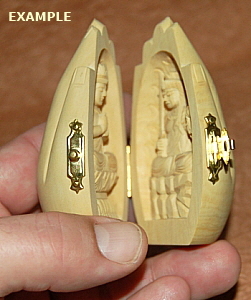 Lovely praying-hand design folds open to reveal two deities. 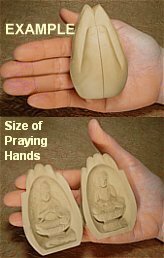 The praying-hands model is perhaps the best deal overall at our eStore in terms of price, size, and artistic merit. 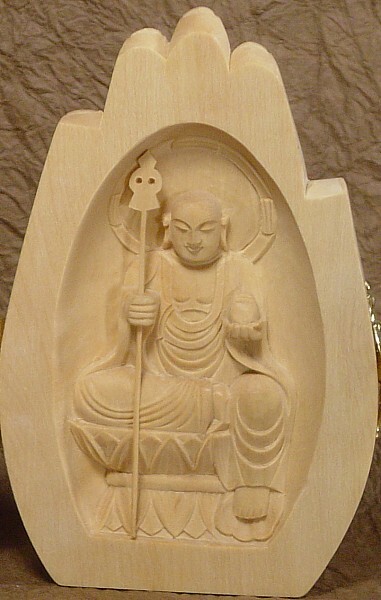 Jizo Bodhisattva (Sanskrit = Ksitigarbha); one of Japan's most beloved deities; carries six-ringed staff in right hand to protect people in all six realms of rebirth; in left hand holds wish-granting jewel; shakes staff to awaken us from delusion, to help us break free of six states of rebirth and attain enlightenment; jewel bestows blessings on all who suffer; it grants wishes, pacifies desires, and brings clear understanding of Buddhist Law. 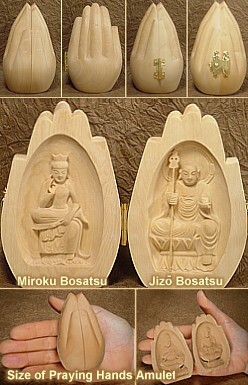 See Jizo Top Page for details. 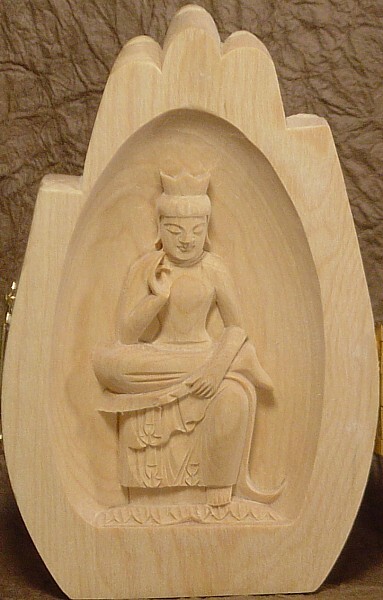 Miroku Bodhisattva (Sanskrit = Maitreya); also known as the Buddha of the Future; seated in traditional half-lotus position, with right foot on left knee; touching right cheek as if pondering ways to save people in the future; Jizo vowed to remain on earth doing good deeds until advent of Miroku in distant future; see Miroku Top Page. English names shown for above two deities do not appear on the statue.